Madhavi, V., Prasad, T., Madhavi, G. (2013). Synthesis and Spectral Characterization of Iron Based Micro and Nanoparticles. 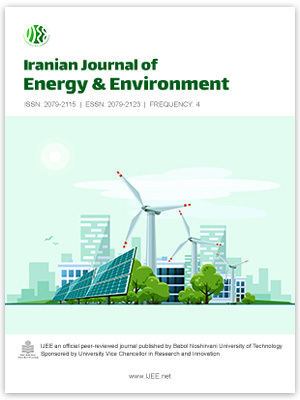 Iranian Journal of Energy and Environment; previously called: Iranica Journal of Energy & Environment, 4(4), -. Vemula Madhavi; T.N.V.K.V. Prasad; Gajulapalle Madhavi. "Synthesis and Spectral Characterization of Iron Based Micro and Nanoparticles". Iranian Journal of Energy and Environment; previously called: Iranica Journal of Energy & Environment, 4, 4, 2013, -. Madhavi, V., Prasad, T., Madhavi, G. (2013). 'Synthesis and Spectral Characterization of Iron Based Micro and Nanoparticles', Iranian Journal of Energy and Environment; previously called: Iranica Journal of Energy & Environment, 4(4), pp. -. Madhavi, V., Prasad, T., Madhavi, G. Synthesis and Spectral Characterization of Iron Based Micro and Nanoparticles. Iranian Journal of Energy and Environment; previously called: Iranica Journal of Energy & Environment, 2013; 4(4): -.